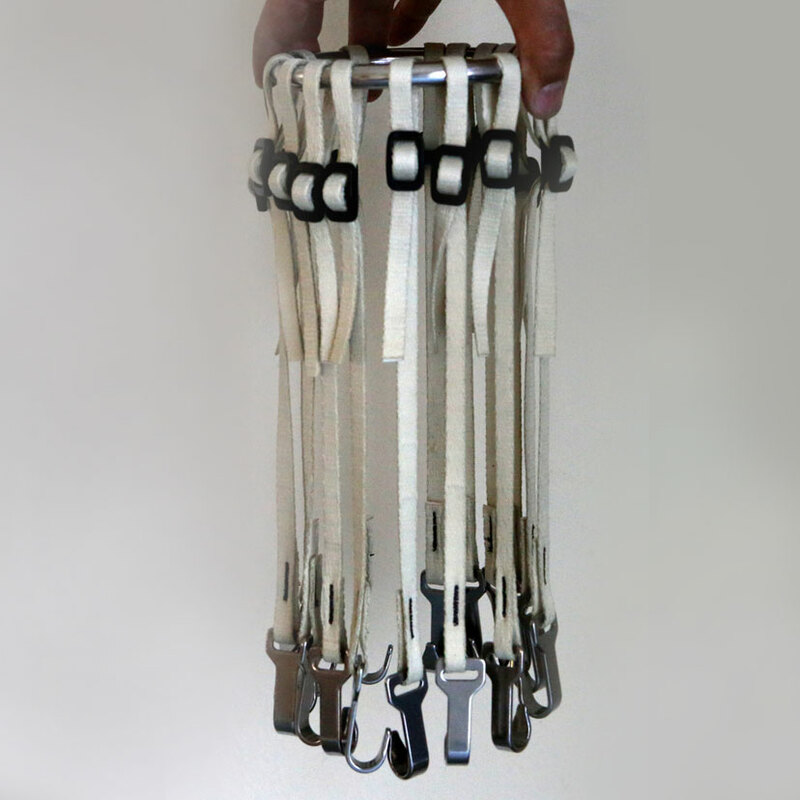 Utilizing this optional attachment for the TransTabla system, users are able to rapidly test Tabla heads without the hassle of lacing/unlacing each time. The Jellyfish features custom Stainless Steel hooks, smoothed and polished for easy and damage free installation into the braid (Gajara). After testing a head, the eyelets in the braid are opened up nicely for easy lacing using one of our strap choices below. In practice, users have pulled up and tested Tabla heads in 10minutes or less. We get several questions on whether the Jellyfish could be used to play with, and while it seems to work fine in practice, we do not recommend it for long term play due the lack of stability versus permanently laced strap.